Michael Newman and family have one goal in mind; to provide our customers with the highest quality products and outstanding customer service. We are a friendly company with an excellent reputation for professional, timely, and affordable services. 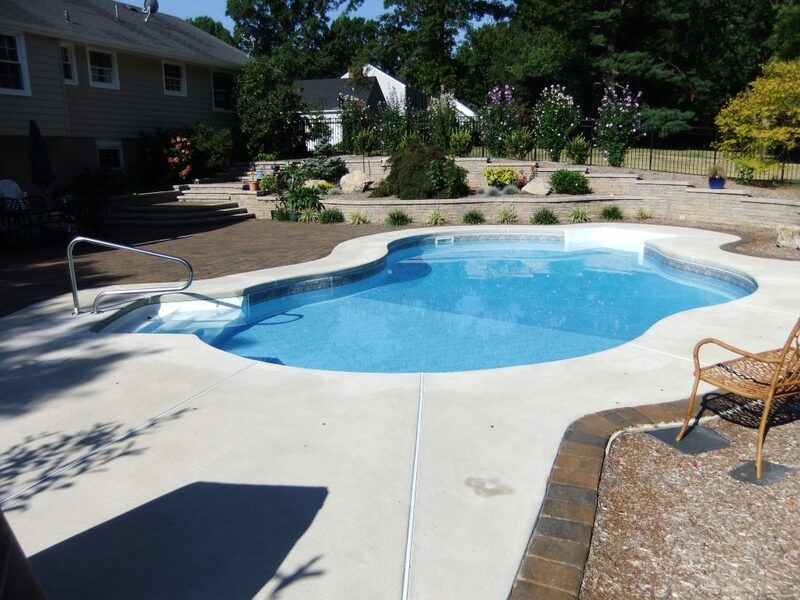 Offshore Pools has installed, over the years, thousands of swimming pools in Central New Jersey. Our reputation for quality workmanship, affordable pricing, and timely service is unmatched in the pool service industry. Working collaboratively with our clients, Offshore Pools will identify your needs and wants. We, as a team, will work with you to stay within your project budget in order to create a custom pool design that our homeowners can be proud of. Unlike our competition, we own and operate our own equipment; therefore employing our own construction staff. Having our own staff allows us to eliminate all the hassles and delays associated with the use of sub-contractors and allow us to be accountable for our own work. Our Clients deal directly with the owner of our company and its’ construction staff who are the sole point of contact for the entire project. We offer a wide range of additional services which include landscaping, hardscaping, masonry, fencing, etc. to assist our clients in completing the entire project. However, if our clients chose to use an outside contractor, we can work hand in hand with them to complete the job. As stated before, the goal here at Offshore Pools is to work within a timely manner providing our customers with outstanding customer service, using the finest quality products the industry has to offer, and affordable pricing. Ready to upgrade your backyard, improve your home’s value and give your family the perfect reason to stay home during the summer? Contact the team at Offshore Pools and request a New Pool Consultation. Are you a DIY’er? Offshore Pools has a Swimming Pool Supply Store located at 260 Brick Blvd. Brick, NJ 08723. Our Pool Supply retail shop has everything you need to maintain, service or treat your pool!